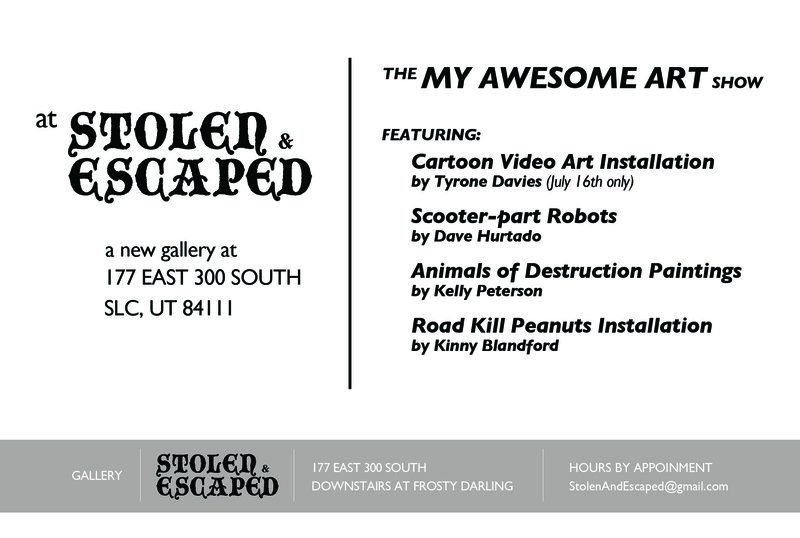 My 4 paintings will be displayed in a Gallery Stroll here in Salt Lake on Friday July 16th from 6pm to 9pm. The exhibit will be there until Aug 9th, but you should come on Friday and say hello. It’s a great gallery and I can’t wait to show my 4 paintings (I will be unveiling a new piece which I have yet to show on the electric Internet). So I’ve been on a few dives before, but now that I am scuba certified I decided to do a more adventurous dive on my recent trip to the Bahamas. I went on a trip to “Shark Junction” near Freeport on the island of Grand Bahama. 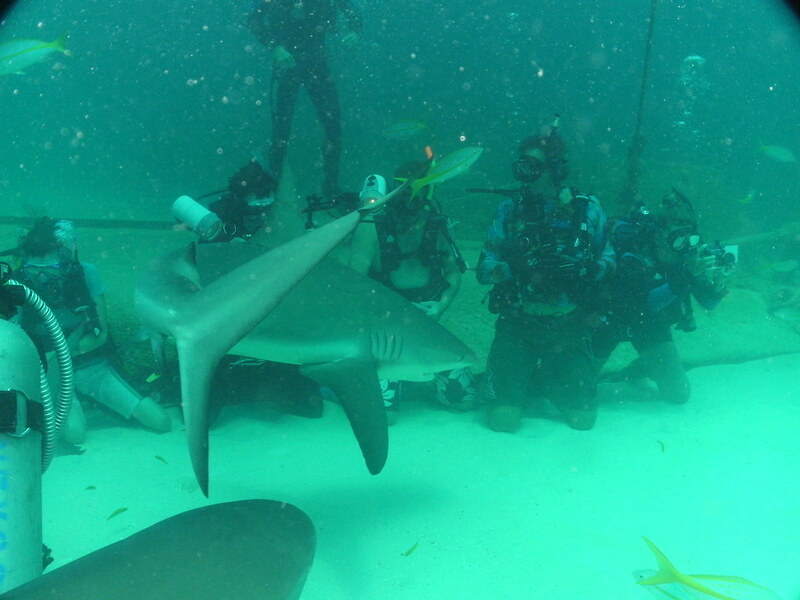 I got to interact with a group of 10 – 15 reef sharks who have been fed a certain way for over 20 years. 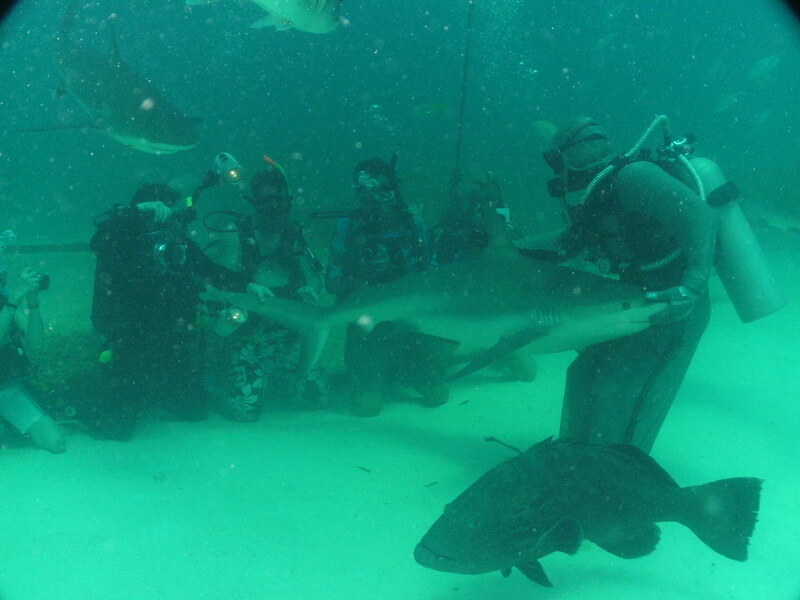 The sharks were extremely docile and loved the attention that the feeder (in chain mail) gave them. They would nuzzle up on his lap and as he would rub their noses, they would roll their eyes back and close them. Once in this state of complete bliss, the feeder would hold the shark by the dorsal fin and bring it close to us so we could touch it. This was an absolutely amazing experience and I still cannot believe I was lucky enough to have been there. I’m looking forward to some more great dives in the future. In the photos above, I am the guy with the bright orange\green snorkel and red trunks.